Can I Freeze Avocados & What’s The BEST Way? Have you ever asked yourself this question: Can I freeze avocado? I sure did. Plenty of times. 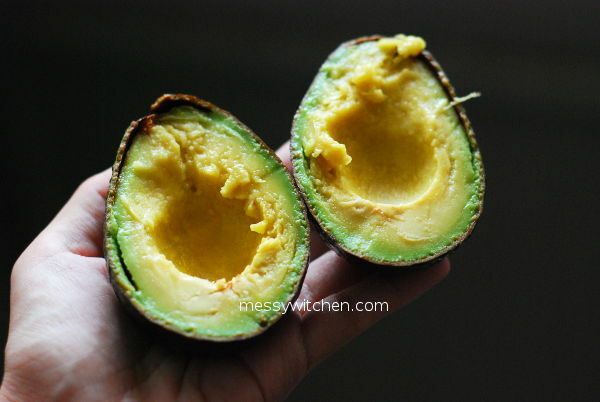 Because you see, if you’re an avocado lover 💗 and you know out-of-season avocados are not cheap, you would want to find a way to preserve all the affordable avocados you managed to grab buy during sale, and enjoy this super-duper yummy fruit whenever you want. Need to stock up whenever the price is right, right? Like all perishable food, once they are past their best, you can’t eat it anymore. I found out the best way to preserve avocados are to freeze it. But how? 1. Mash/puree ripe avocados. 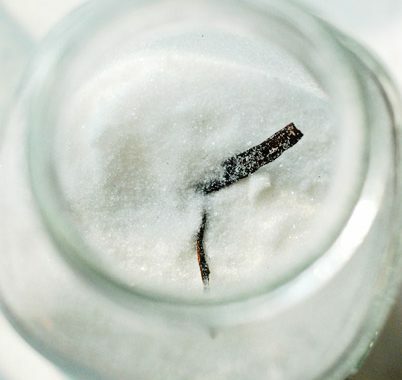 Add lemon/lime juice to prevent oxidation (browning). Freeze in ice cube tray or resealable storage bag (remove as much air as you can before sealing). 2. Halves/cubed ripe avocados. Rub lemon/lime juice on exposed surface. Freeze in resealable storage bag or wrap with clingfilm tightly (for halves avocado). Remember to remove as much air as possible before sealing. Personally, I find both methods tedious. Must I go through all this just to enjoy my avocados? 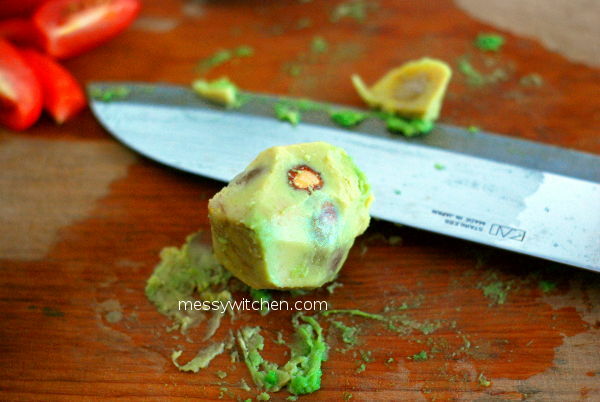 Plus, there’s no guarantee the frozen avocado would still remain bright green after that, right? “Why can’t I freeze whole avocado, as is?” I lamented. And so try I did! I tried freezing one whole avocado for testing purpose, and even before the 2017 avocado season ends, I have a bag full containing over 15 avocados hibernating in my freezer plus a very happy me. 1. First, to answer a very important question: Can I freeze avocado? Oh yes, you definitely 100% can! 2. Do I freeze ripen avocados or unripe ones? Always use ripen, ready to eat avocados for freezing. On the ripeness level, the best is just ripen! 3. 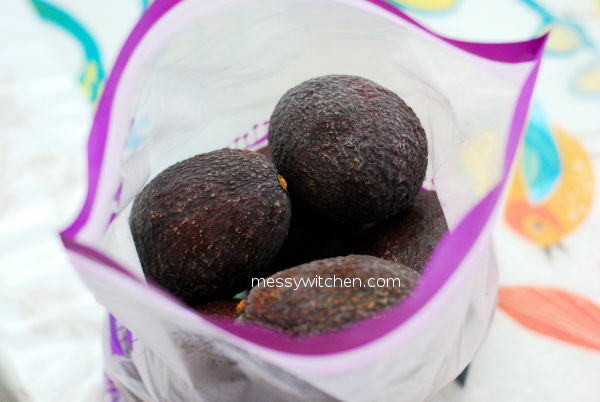 What are the ways to freeze avocados and the best way is? There are 3 ways that I know of. Two of them described few paragraphs above (I did not tried them), and the third method is by simply freezing whole ripen avocados. 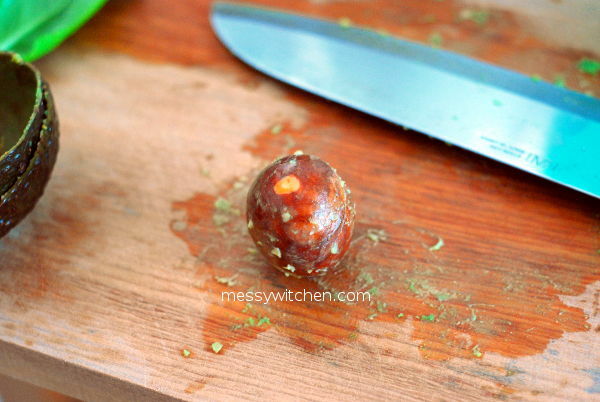 Once an avocado has ripen, you can just literally throw it in the freezer (all intact!). Now, isn’t this the simplest, easiest and best way? For better management of this beautiful oval fruits, you can keep them in a storage bag or container. 4. How do you eat frozen whole avocado? 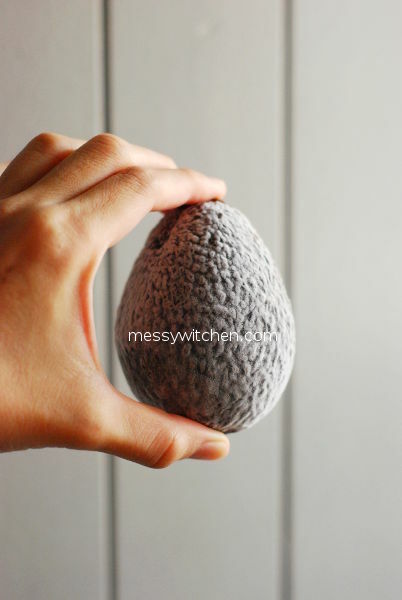 Take the hard-as-stone frozen avocado out in advance (about 30~45 minutes in a tropical country) to defrost/thaw it on the kitchen counter. 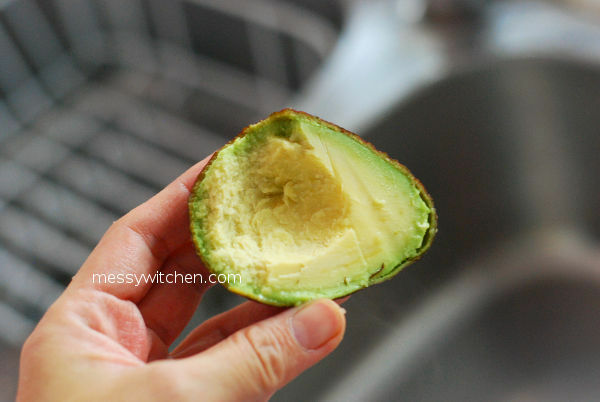 Place avocado in a bowl to contain the defrosted ice water. Once the avocado has soften to a degree (but still has firmness to it), that a knife can cut through the flesh (need experience to judge, just practice more! 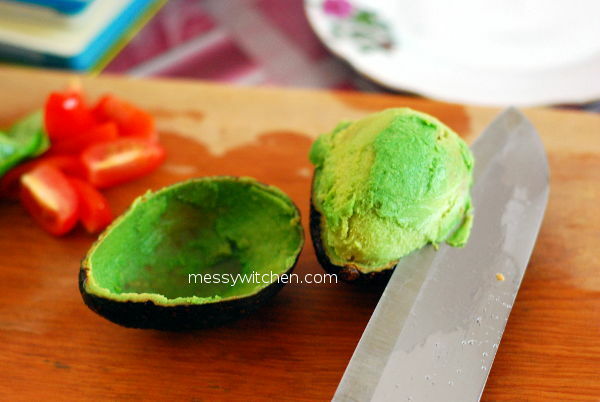 ), cut the avocado like you always do. 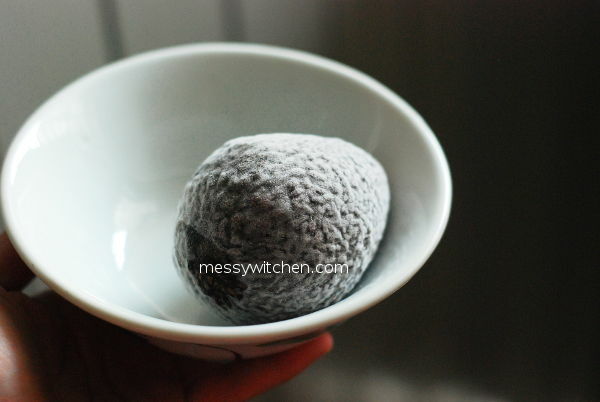 Do not thaw the frozen avocado overnight in the fridge or let it completely defrosted on the kitchen counter unless you want mushy mess texture, which btw can be used for guacamole or spread. You still gain! 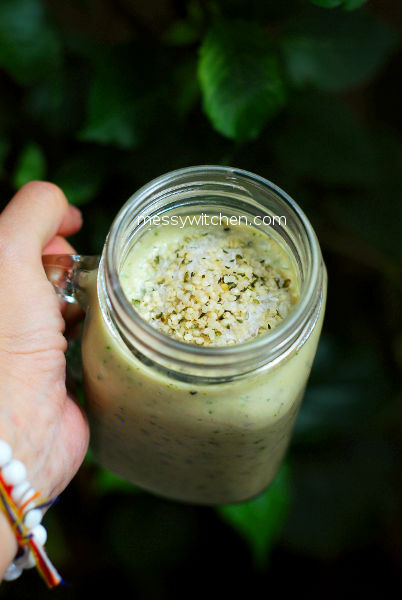 Well, no matter which methods you choose, you still need to wait for it to thaw before you can use it except when you’re making smoothie (using the two methods: mash/puree or halved/cubed described earlier), you can just throw it into the blender. 6. Can I make ANYTHING avocado out of frozen whole avocados? Yes, you can make anything avocado out of frozen whole avocados! 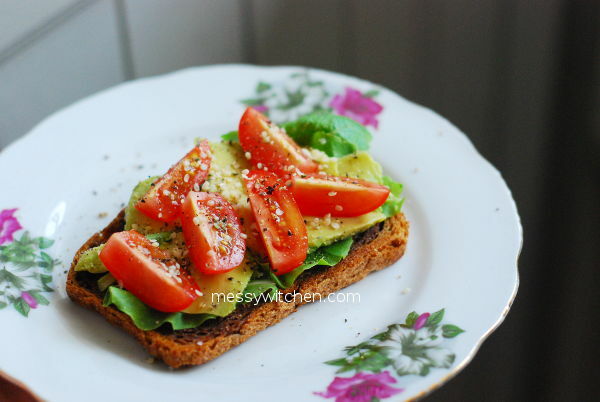 Smoothie, spread, guacamole, baby food, truffle, sliced avocado (yup even this) on toast or add to salad. 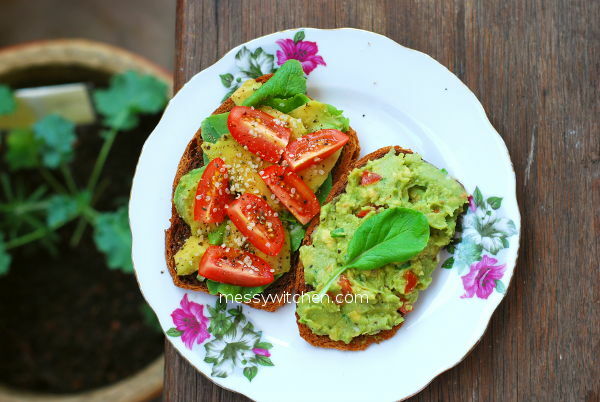 Avocado spread. 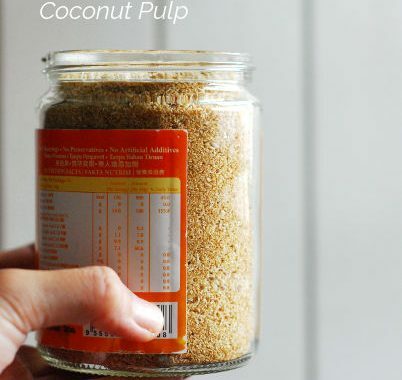 I use it on toast and also on cream crackers (you should try this!). I’m here to proof to those who said defrosted whole avocados are too mushy to be sliced. Whether it’s mushy or firm (with just slight mushiness) all depends on the degree the frozen avocado has been thawed and also the ripeness of the avocado. Too ripe avocado (already very soft before frozen) definitely will give you gooey texture no matter what after defrosted. 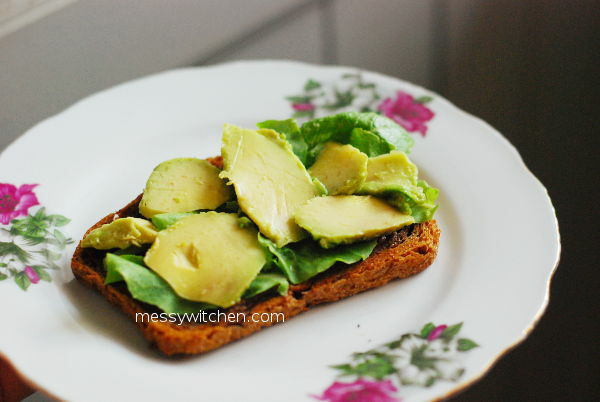 Sliced avocado on toast (before make up) made from frozen avocado. Scroll two photos up to see the final outcome of the sliced avocado on toast with frozen avocado looks like. If you completely defrosted a frozen avocado, you will get very soft, very mushy cream-like flesh. Cutting into it can be a tiny difficult since it has lost its firmness. 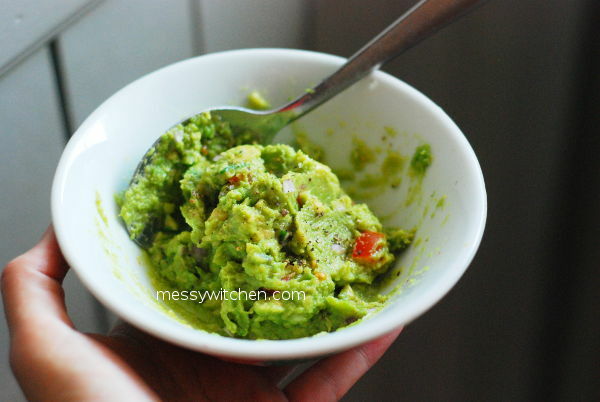 This is perfect for avocado recipes that need the avocado to be mashed. Defrosted avocado. Quite mushy! Eeekss… 😱 I still love you, avocado. 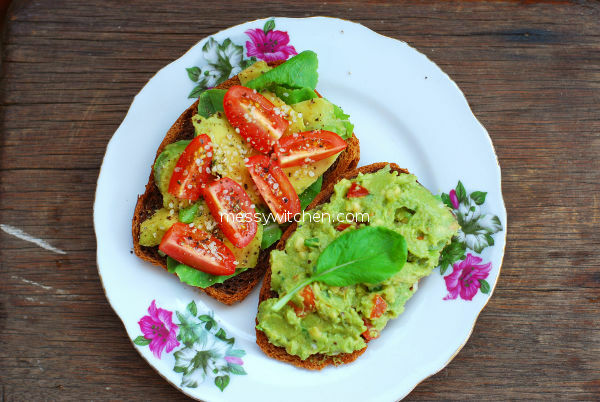 For half or less than half way defrosted avocado, you get better firmness, thus you can slice the avocado and put it on toast. See, no mushy! Ok, perhaps just a little bit. 7. Honestly, what’s the texture like for a frozen ripen avocado that’s been defrosted compared with fresh ripen avocado? Honestly, the texture are different and can also be quite similar. Like I mentioned earlier, if you freeze a just ripen fresh avocado, once defrosted, you will likely encounter very little mushiness (usually on the surface) but the inside is firm like fresh avocado. If you froze an already mid-way or very ripe avocado, you will most likely get mushy and some watery texture once defrosted. Also, the degree of the frozen avocado that has been thawed (half-way thawed or completely thawed) plays a part on the texture too. No matter, I prefer freezing my avocados whole when I stock up a lot. Here’s an avocado that’s been about more than 1/2 way defrosted. The surface is soft and mushy. Take this seed and plant it. See the link below for my tips on growing avocado from seeds. 8. Lastly, tell me ALL the reasons why you love freezing whole avocados? 1. It’s the best way! I almost don’t have to do anything except open the freezer door & chuck it in. 2. I get bright green avocado flesh all the time. I don’t have to deal with browned avocado flesh. 3. My avocado is not tainted with lemon. I don’t usually add lemon onto my avocados, you see. 4. I can decide what I want to make with it and have the freedom to change recipe plan after I’ve defrosted the avocado, just like a fresh avocado. Tsk, do you know that I’m so in love with avocado that I’ve even tried growing avocado from seeds? Right now (as in December 2017), they’re about 1.5 years old. 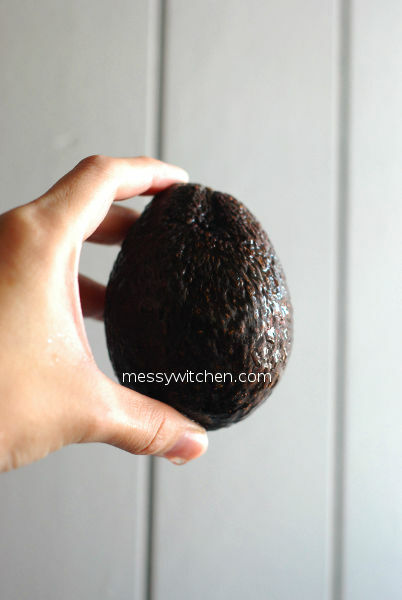 Check out my growing avocado tree journey here. Made using one frozen avocado! 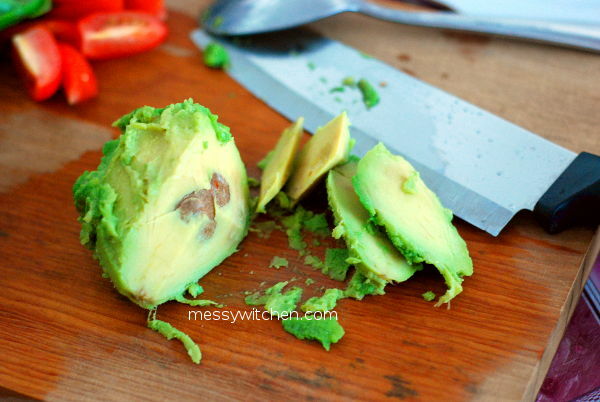 Have you try freezing whole avocado? Do you like it? This is my last post of 2017. Thanks for visiting Messy Witchen. May you end 2017 positively and start 2018 with renew energy! Thanks for your insightful and informative article! 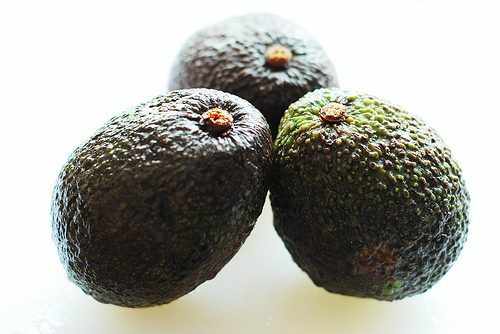 I’m Joy and recently started up a new venture to solve the avo-issues in Malaysia (you know it’s very hard to get good quality avocados in the market nowadays…) Freezing the whole avocado fruit is a brilliant idea that I never thought of, what I do is to make them into puree then freeze them, that’s as tedious as you said. And yes, it’s been a very tough journey to deal with avocados… Since you’re really well experienced with avocado, I wonder if you could shed some light on what I’m doing to see if there is a need in Malaysia? Would Malaysians appreciate? Hi Joy, you’re welcome. Now you know! 🙂 Good luck on your avocado venture. You’re too generous with the “well experienced with avocado” part. Haha. I just see myself as an avocado lover. As for your questions, I’m afraid I’m not able to answer because I can’t speak about the need for Malaysians as I don’t know what are their needs and priorities in life. Cheers!